Apple has delivered new developer builds and betas for developers and public testers of iOS 8.3 and OS X 10.10.3. There are also fresh versions of the Xcode development environment and Photos for OS X app. This is the second public beta of iOS 8.3 (Build 12F5061), the first arriving just two weeks ago — developers have been testing iOS 8.3 for nearly two months. 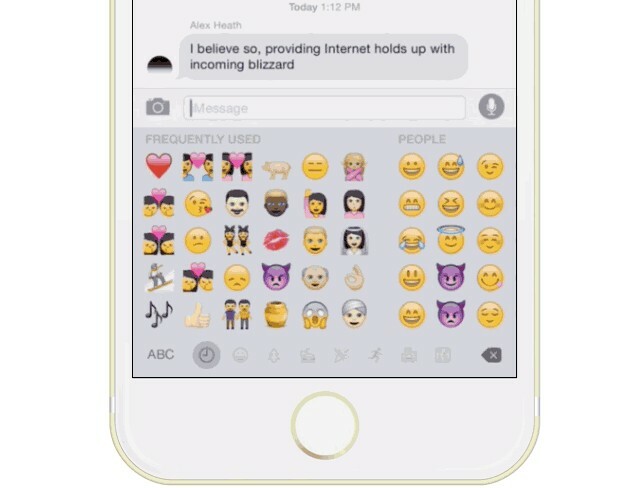 It will deliver support of iWatch, CarPlay and iCloud Photo Library, as well as more diverse emoji (image above). Interestingly, iOS 8.3 will allow users to download and install “free” apps without first entering their password, though this feature has yet to be turned on in the betas. Also, Siri will support languages, as well as the ability to make speakerphone calls. Tying it altogether is Xcode 6D554n, which includes support for Swift 1.2. For Mac developers and public testers, Apple has delivered OS X 10.10.3 14D113C (aka Beta 5). In a nutshell, this third Yosemite update offers the new Photos for OS X app (replaces iPhoto and Aperture), Force Touch and an updated emoji picker + ethnically diversified emojis. OS X 10.10.3 and iOS 8.3 are expected to ship next month, when the all-new 12-inch MacBook and much ballyhooed Apple Watch will also arrive.